OPEN HOUSE: Sunday, September 9th from 2:00 - 4:00 PM. Immaculate bungalow in Kingston’s east end offering over 2,000 sq/ft of finished living space, 2+ bedrooms and 3 full baths. Large corner lot w/exterior stone on two sides, inviting front porch leading to large tile foyer. Bright open concept design with 9ft ceilings on main floor. Maple hardwood floors in living, dining and kitchen which features large centre island w/extended breakfast bar and stainless steel appliances included! Spacious living room with patio doors to rear interlocking patio and fully fenced yard with trees behind. Master bedroom has 3-piece ensuite w/5ft tile shower, large second bedroom, 4-piece main bath plus main floor laundry! Fully finished lower level offer large rec room with high end laminate flooring, pot lighting, large den and exercise room (both with closets) and 3-piece bathroom w/5ft tile shower plus ample storage. All this plus central air, HRV, on-demand hot water, garage with automatic opener and paved driveway with concrete walkway/curbs. 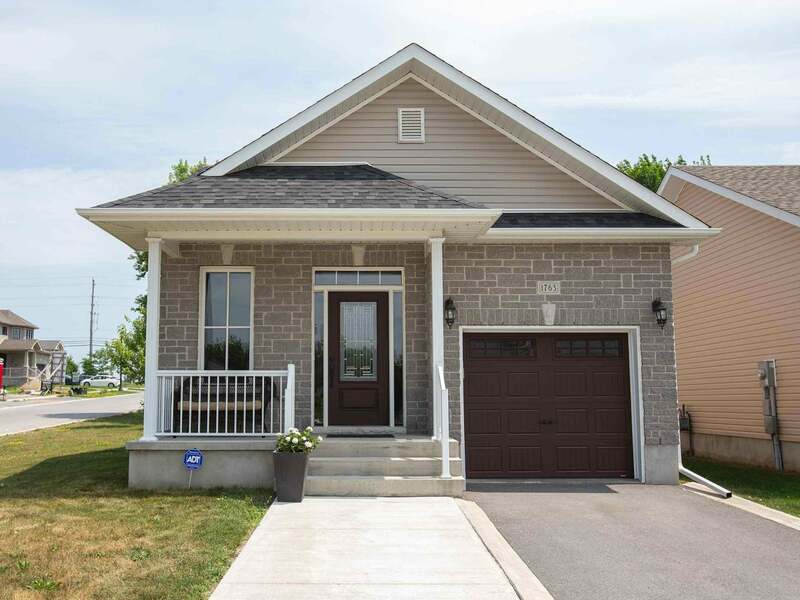 Located in a family friendly neighbourhood close to brand new Riverview Shopping Centre, schools, parks, library, CFB, RMC, 401 and downtown Kingston. An absolute pleasure to show, call to arrange a viewing today! Lot Size 40 x 104 Sq. Ft.